Anyone with a better than cursory knowledge of politics knows that a people's deepest values - their religious values - are what determine whether a society will prosper or fail. And anyone with a more than cursory knowledge of history knows that there was once an entity called Christendom - a political society self-consciously in obeisance to a total Christian view of life. 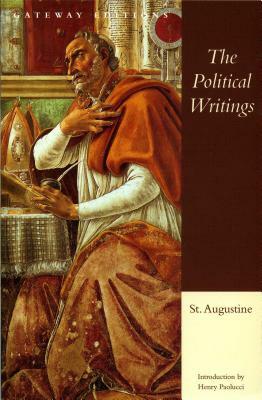 Here in one concise volume is St. Augustine's brilliant analysis of where faith and politics meet - casting a penetrating light on Roman civilization, the coming Middle Ages, ecclesiastical politics, and some of the most powerful ideas in the Western tradition, including Augustine's famous "just war theory" and his timeless ideas of how men should live in society. With the classic introduction by Henry Paolucci and an analysis by Dino Bigongiari.